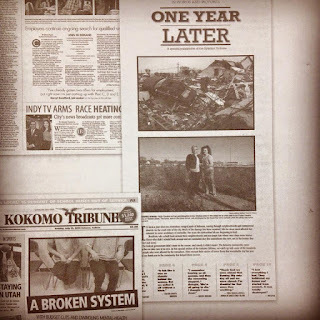 This Burgess: "One Year Later"
I also contributed the audio from my interview with survivor Karen Glendenning for the accompanying video, "One year later: In their own words." On April 17, 2015, the Indiana Associated Press Media Editors held their spring meeting at the Rathskeller in Indianapolis. 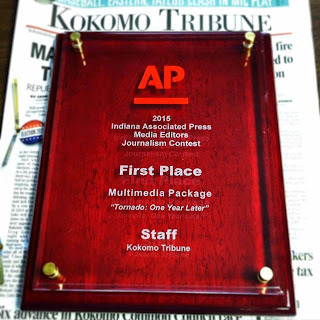 The event also featured their 2015 IAPME Journalism Contest awards ceremony, during which the Kokomo Tribune won two awards, including a staff award for First Place for Best Multimedia Package. 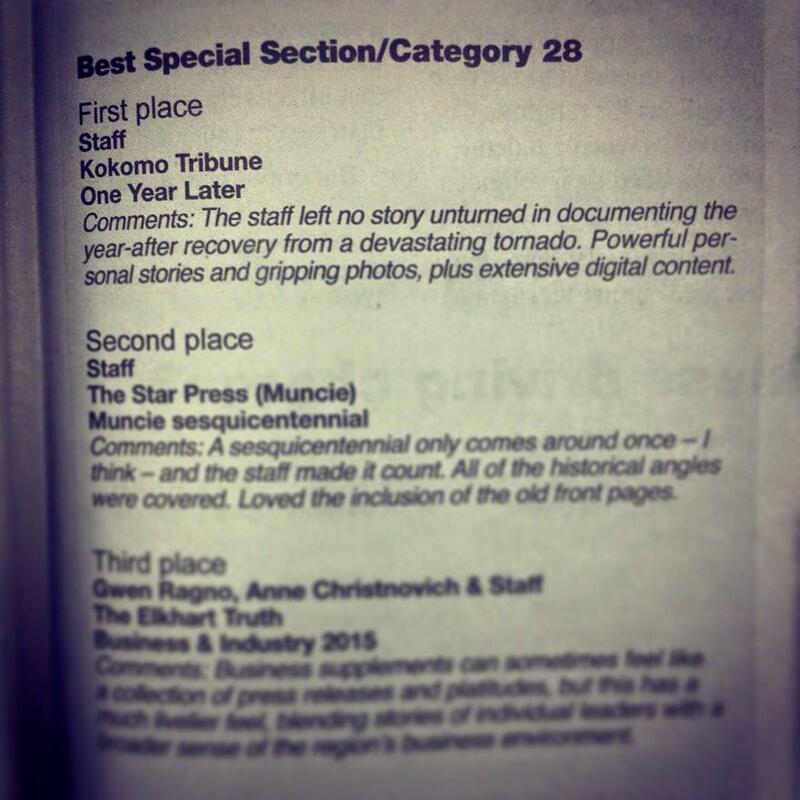 The Kokomo Tribune competed in Division 2, which covers newspapers with daily circulations of 20,000 to 49,999. 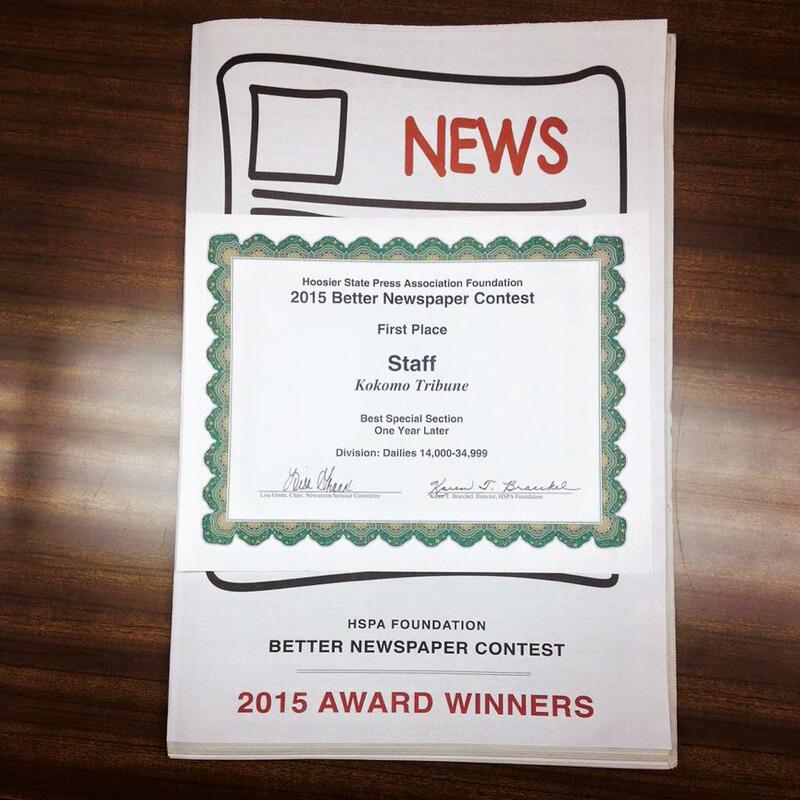 AP member newspaper editors in Iowa judged the contest. INDIANPOLIS (AP) — Anne Christnovich, Tim Vandenack, Sarah Welliver and the staff of The Elkhart Truth won top honors at the Indiana Associated Press Media Editors' awards ceremony Friday for their coverage of the five-year aftermath of the Great Recession. 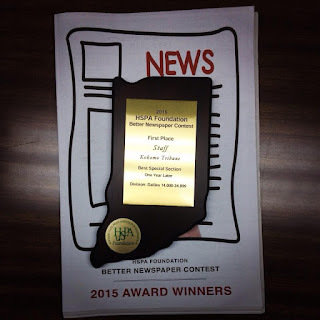 Their package won the Kent Cooper award for best overall newswriting at the IAPME spring meeting held at the Rathskeller in Indianapolis. Judges say the package offered a "true sense of the community and what it had gone through." Erin McCracken of the Evansville Courier & Press won the Bushemi Sweepstakes Award for a photo titled "Thankful." The Will Counts Photojournalism Award for the top young photojournalist went to Caitlin O'Hara, a 2014 Indiana University graduate and summer intern at The Herald in Jasper. 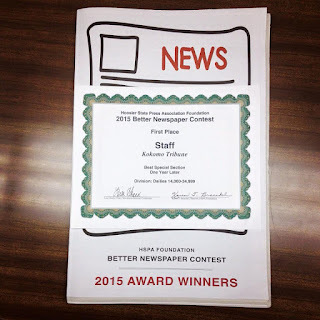 AP member newspaper editors in Iowa judged the contest. — Division 1, newspapers with daily circulations of 50,000 or more. — Division 2, newspapers with daily circulations of 20,000 to 49,999. — Division 3, newspapers with daily circulations of 9,000 to 19,999. — Division 4, newspapers with daily circulations of 8,999 or less. 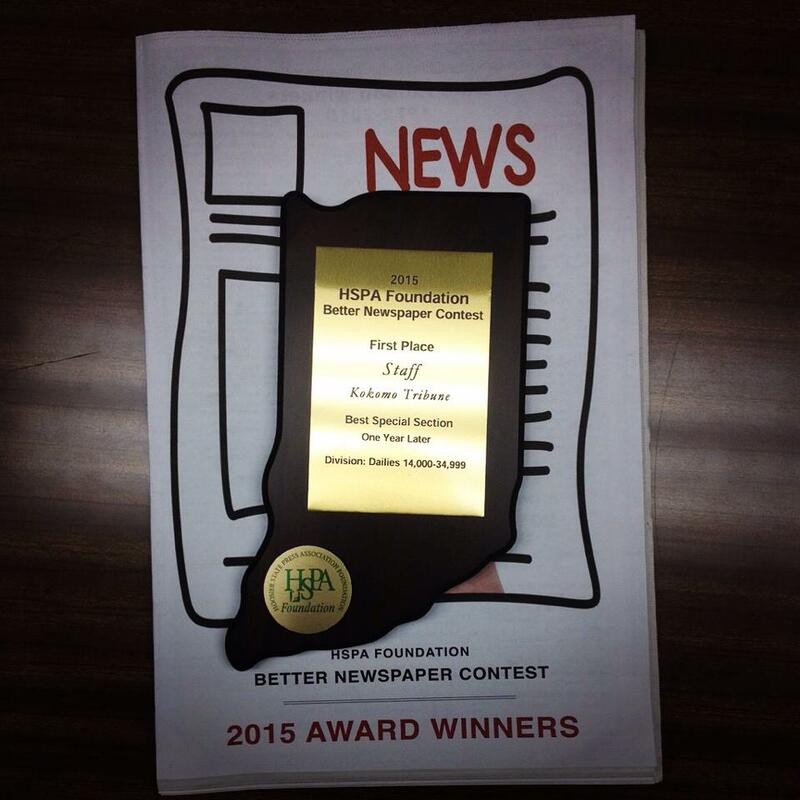 1st place: Greg Halling, The Elkhart Truth, "LGBTQ Hiring Practices"
2nd Place: Max Jones, Tribune-Star, Terre Haute, "It's Time to End Divisive Battle"
3rd Place: Mark Bennett, Tribune-Star, Terre Haute, "Get Your Austerity Here!" 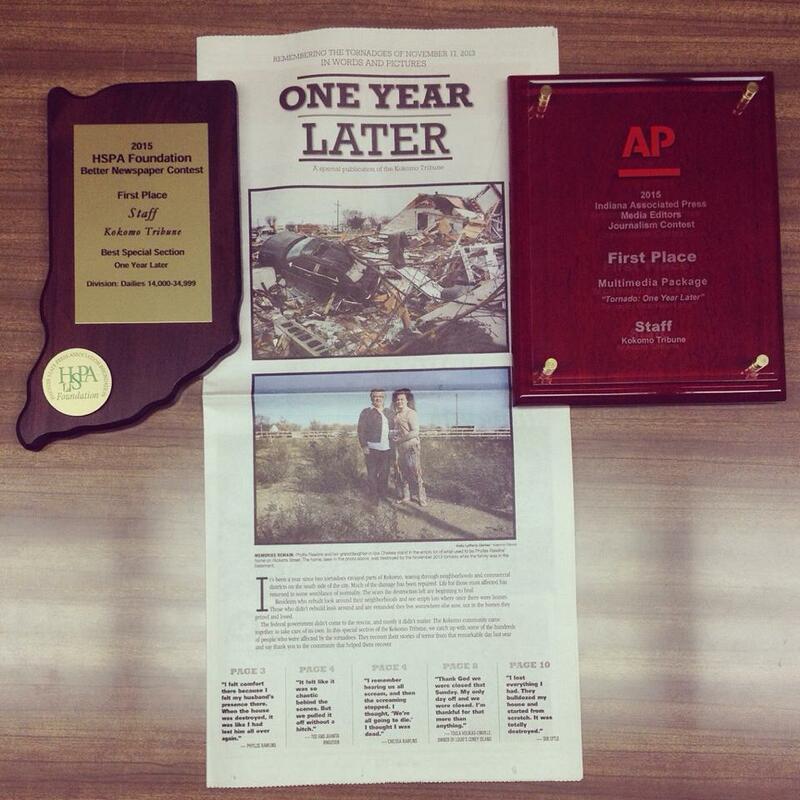 1st place: Staff, Journal & Courier, Lafayette, "The Great Chicago Myth"
2nd Place: Seth Slabaugh, The Star Press, Muncie, "What Keeps BSU Sports Alfoat?" 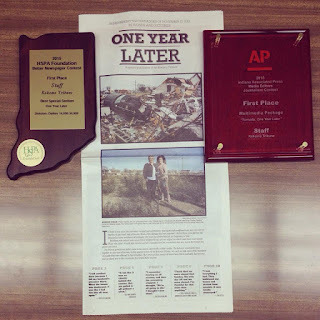 1st place: Ben Breiner, The Star Press, Muncie, "Lucky to Be Sitting Here"
2nd Place: Jon Blau, The Herald-Times, Bloomington, "North's Wilson Carrying Torch for His Family"
3rd Place: Steve Krah, The Elkhart Truth, "Goshen Basketball Player Olivia Love Copes with Tragedy with Help from Family"
1st place: Bill Beck, The Elkhart Truth, "4A Semistate: Fickert Made Sure Northridge's Football Rise Will Continue"
2nd Place: Jeremy Price, The Herald-Times, Bloomington, "Moren Named IU Women's Basketball Coach"
3rd Place: Todd Golden, Tribune-Star, Terre Haute, "Guts, Sweat, Tears"
1st place: Sarah Welliver, The Elkhart Truth, "Autistic Children Receive Help Living, Learning Through ABA Therapy"
2nd Place: Laura Lane, The Herald-Times, Bloomington, "Nothing Remains of Homestead"
3rd Place: Bill Beck, The Elkhart Truth, "Miguel Reyes Fights Brain Tumor with Help of Concord School Family"
1st place: Anne Christnovich, Tim Vandenack, Sarah Welliver, Staff, The Elkhart Truth, "Five Years Later"
2nd Place: Sue Loughlin, Lisa Trigg, Tribune-Star, Terre Haute, "I-70 Stories: Behind the Numbers, There Are People"
3rd Place: Wei-Huan Chen, Journal and Courier, Lafayette, "Graffiti Warfare"
1st place: Jon Blau, Rod Spaw, Abigail Tonsing, The Herald-Times, Bloomington, "Family Members Recall Crisis That Lead Up to 2 Deaths"
2nd Place: Seth Slabaugh, Keith Roysdon, Douglas Walker, The Star Press, Muncie, "Ball State University Swindled"
3rd Place: Jeff Parrott, The Elkhart Truth, "Tragic Elkhart Fire that Killed 6 Kids in 1998 Still Haunts Community"
1st place: Staff, Journal & Courier, Lafayette, "Purdue Shooting"
2nd Place: Angelle Barbazon, Emily Taylor, Krystal Vivian, Staff, The Elkhart Truth, "Gay Marriage Ban Struck Down in Indiana"
3rd Place: Staff, The Elkhart Truth, "Shooting Tragedy at Martin's Super Market"
1st place: Staff, Kokomo Tribune, "At the Fair"
1st place: James Willis, Alicia Morgan, Tribune-Star, Terre Haute, "Cold Case Heats Up"
2nd Place: Jennifer Tilley, Janice Rickert, Bill Thornbro, Penny Reid, The Herald-Times, Bloomington, "Concrete Embezzlement Conspiracy"
3rd Place: Brad Saleik, The News-Sentinel, Fort Wayne, "Examining the Soul of a School"
1st place: Staff, Kokomo Tribune, "Tornado: One Year Later"
2nd Place: Staff, The News-Sentinel, Fort Wayne, "50 Years of IPFW"
3rd Place: Bill Beck, Sarah Welliver, The Elkhart Truth, "Concord Coach Tim Dawson Hopes Football Rekindles Fire after His Son's Death"
1st place: Gwen Ragno, Natasha Tucker, staff, The Elkhart Truth, "Flavor 574"
On Dec. 5, 2015 at the 2015 Hoosier State Press Association Foundation Better Newspaper Contest Awards Luncheon and Newsroom Seminar at the Indianapolis Marriott North, I, along with the rest of the Kokomo Tribune staff, won First Place for Best Special Section. 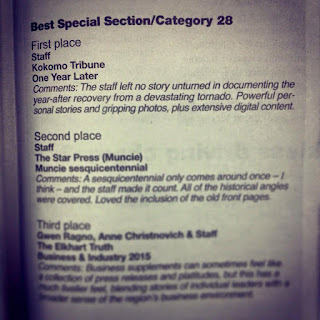 The Kokomo Tribune competes in Division 5, which comprises daily newspapers with circulations between 14,000 and 34,999. 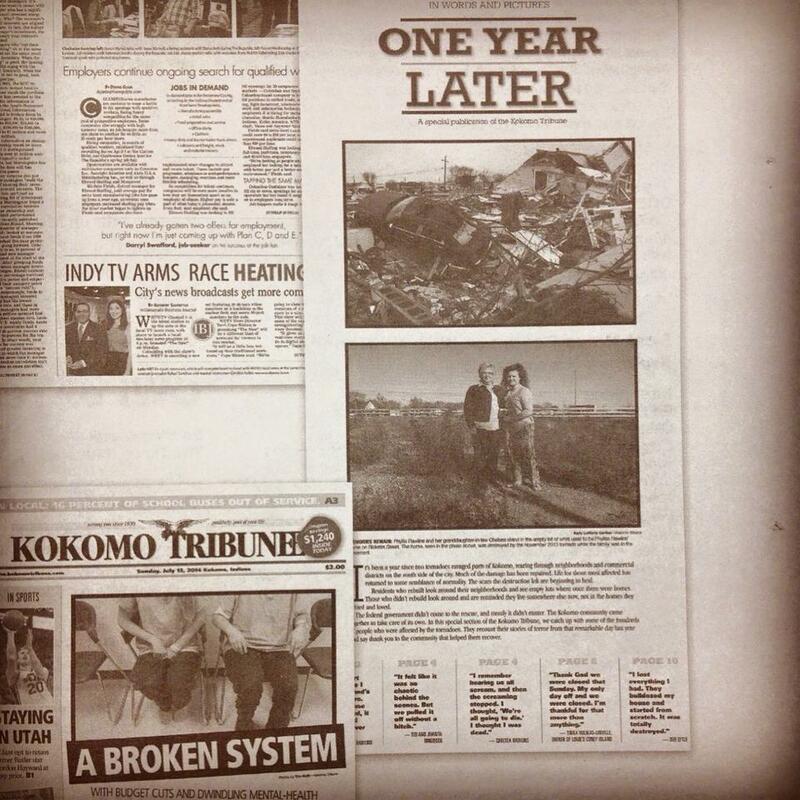 "The staff left no story unturned in documenting the year-after recovery from a devastating tornado. Powerful personal stories and gripping photos, plus extensive digital content."